During the later parts of the middle Miocene, there was an expansion of continental ice sheets and increasing ice buildup in Antarctica, ultimately the result of the earlier separation of Australia from Antarctica, which had so significantly changed ocean currents and their circulation that it lead in time to a direct effect on world climate, producing global cooling (Williams et al., 1998; Denton, 1999). Significant cooling in the northern high latitudes is also indicated by seasonal ice-rafting of debris into the North Atlantic (Rosen, 1999). As Africa became drier and cooler, it is around this time (the Middle and Late Miocene transition) that we start to witness the biological radiation of Eurasian hominids, whereas hominids in Africa were apparently becoming increasingly rare, though whether this is a real biological phenomenon or the result of fossil sample bias remains unknown. Whether representatives of the Proconsulidae or the Afropithecidae can be considered the basal population from which the earliest hominids originate remains problematic. 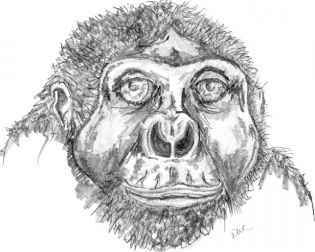 The earliest representatives of our own family, the Hominidae, appear around 16 million years ago and are allocated to the subfamily Kenyapithecinae, consisting of the genera Griphopithecus and Kenyapithecus (Figure 2.4). Most believe that this is the group that represents the basal population from which the hominids emerged, ultimately including the extant hominids, that is, the orangutans, gorillas, chimpanzees, and, of course, humans. 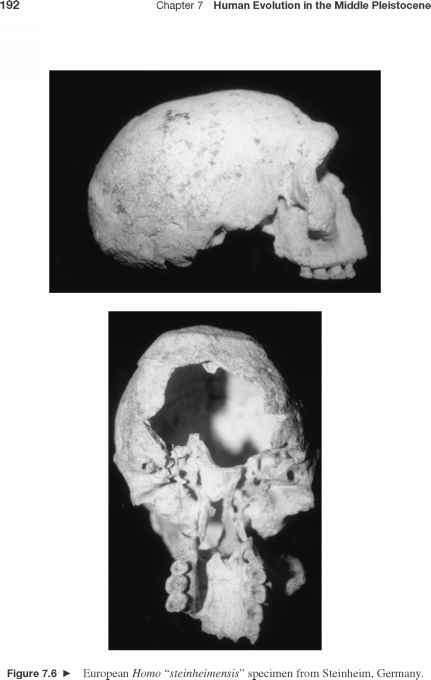 The Kenyapithecinae probably gave rise to the later European hominid subfamily Dryopithecinae, Dryopithecus (around 12-10 million years ago) and Oreopithecus (around 8.5 million years ago) (see Andrews, 1992; Harrison & Rook, 1997; Cameron, in press a). Another fossil ape, Graecopithecus, from Greece, dating from between 11 and 10 million years ago, may have been part of a Eurasian dispersal back into Africa and may have shared a close phylogenetic relationship with the late Miocene Samburupithecus and the extant Gorilla (Andrews, 1992; Cameron, in press a). 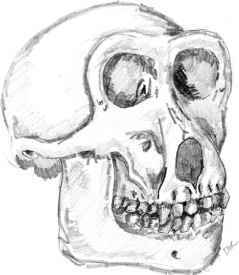 Figure 2.4 ► Partial reconstruction of Kenyapithecus wickeri from Fort Ternan, Kenya. Adapted from Andrews and Walker (1973). Taken from Cameron (in press a). It is suggested that the European subfamily Dryopithecinae originate from the thick, enameled Griphopithecus sometime during the middle Miocene between 17 and 14 Ma. Griphopithecus is commonly associated with forests in drier and more strongly seasonal conditions, with summer rainfall and prolonged dry seasons (Andrews & Humphrey, 1999); its retention of thick molar enamel can be associated with a dietary regime of small, tough food items. The later Dryopithecinae, which are associated with tropical to subtropical conditions and closed forest habitat, are associated with a number of adaptations, including the evolution of thinner molar enamel and a suspensory form of locomotion to help move through the forest (Figure 2.5) (see Andrews & Humphrey, 1999; Agusti et al., 2001). Thin molar enamel helps further to maintain sharp molar ridges and cusps, which would be beneficial in its dietary preference for soft fruits and vegetative material, that is, it provides increased shearing action. Oreopithecus, from 8.5 million-year-old sites in southern Europe, may have evolved from a thin, enamelled dryopithecine or from an as-yet-unidentified ancestral group, though its well-defined pointed molar cusps and sharpened enamel ridges are the ultimate of the thin-enamelled, high-cusped condition (Figure 2.6). 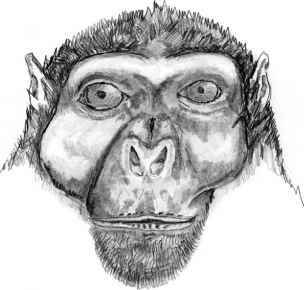 Figure 2.5 ► Reconstruction of Dryopithecus brancoi from Hungary. Taken from Cameron (in press a). Figure 2.6 ► Partial reconstruction of Oreopithecus bambolii from Tuscany, Italy. Taken from Cameron (in press a). Moya-Sola and Köhler (1993, 1995, 1996), Agusti et al. (1996), and Köhler et al. (2001) consider the European later Miocene hominids Dryopithecus and Graecopithecus as being closely related to the Asian apes, while Begun (1992a, 1994a, 2001, 2002), Begun and Kordos (1997), and Begun et al. (1997) consider these same taxa as basal "African" apes. Whether Dryopithecus and Graecopithecus are "African" or "Asian" hominids has important consequences for interpretations of hominid paleobiogeography. If we accept that they represent basal African hominids, then a Eurasian origin for the extant African hominids is possible, perhaps even likely. This is because many experts are still debating the hominid status of Kenyapithecus, Otavipithecus, and Samburupithecus, suggesting that they may actually be a phylogenetic sister group to the early Miocene Afropithecidae and, as such, not closely related to the extant African hominids at all (see review in S. Ward & Duren, 2002; also see Begun, 1994b, and Singleton, 2000). If these African fossil taxa are more distantly related, then we currently have no African fossils from the late Miocene, which can be considered immediately ancestral to Gorilla or Pan. The European hominids Dryopithecus and Graecopithecus, however, have both at times been argued to represent immediate hominid ancestors (Andrews, 1992; Begun, 1992a; D. Dean & Delson, 1992; Cameron, 1997a; see also de Bonis & Koufos, 1994, 2001; Moya-Sola & Köhler, 1993, 1995, 1996). If we accept that Dryopithecus and Graecopithecus represent "Asian" hominids, then the African origins for the extant African hominids at least is still not refuted; that is, we have no Eurasian ancestors for the African hominids. Figure 2.7 ► Reconstruction of the Greek Late Miocene hominid, Graecopithecus macedoniensis. Taken from Cameron (in press a). are linked to the Pongo clade rather than being a sister group to all extant hominids (see also Andrews & Bernor, 1999). 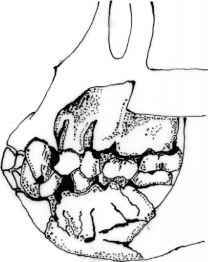 Clearly, from the available evidence, Dryopithecus cannot be considered an ancestor to the Asian clade because the European species appear later in the fossil record; that is, Sivapithecus appears in Pakistan around 12.5 Ma, while the Dryopithecus from Spain (D. laietanus and D. crusafonti) appears around 9.6 Ma (Agusti et al., 1996). As such, they argue, at least these species of Dryopithecus combine the position of being among the more recent but also the more primitive hominid species from Eurasia. 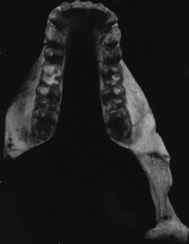 The presence in the Dryopithecinae and the extant African hominids of derived features such as suspensory locomotion and thin molar enamel suggests that Dryopithecus is more closely related to the ancestry of the extant African hominids (Gorilla and Pan), as opposed to the Asian hominid (Pongo). The Asian extant and fossil hominids are allocated to the subfamily Ponginae, which have distinct facial and dental features that the African extant hominids and members of the Dryopithecinae lack. The Dryopithecinae, like much of the Middle Miocene European fauna, apparently became extinct with the Vallesian crisis of Europe around 9.5 Ma; if so, the derived form of locomotion shared between the Dryopithecinae and the African hominids must have evolved independently. At any rate, it did apparently evolve separately in the orangutan (whose presumed ancestor, Sivapithecus, displays the primitive above-branch locomotion), so there is no reason why it could not evolve independently in the later extant African hominids (see partly Pilbeam, 1996, 1997, 2002). 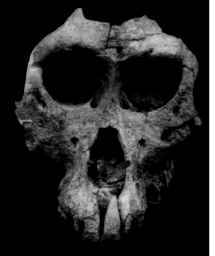 Figure 2.8 ► Ankarapithecus meteai male specimen AS 95-500. Photographs kindly supplied to DWC by Dr. Peter Andrews, Natural History Museum, London. 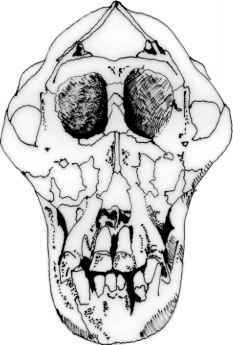 Figure 2.9 ► Sivapithecus indicus specimen GSP-15000 from the Siwalik foothills, Pakistan; thought by most to be an ancestor to the extant orangutan. Taken from Cameron (in press a). dispersal into Eurasia from western and northern Europe was not necessarily a "straightforward" proposition.